The page entitled Starting a small business has some very useful information which is relevant to Starting a home-based business. 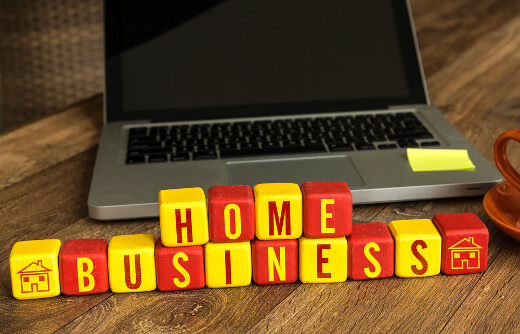 The business needs to be suitable to be operated from home. This often requires dedicated space such as a garage/workshop, separate room, studio or similar. You will need to be organised and self motivated. In working hours you should either be working or canvassing for work. You may need to spend time researching issues as no-one has all the knowledge they need for all the required tasks such as technical support, accounting and marketing.